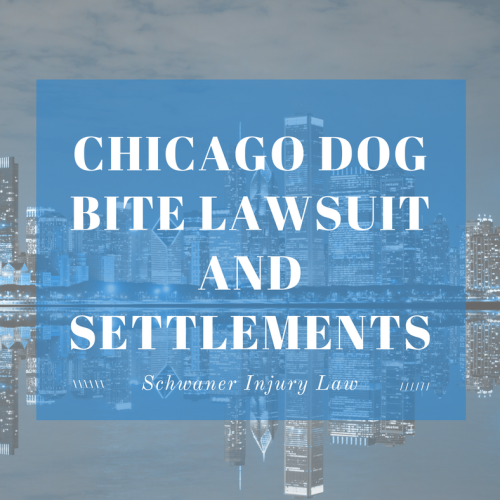 Want to learn more about chicago dog bite lawsuits and settlements? There are an estimated 13 million dogs living in the state of Illinois alone, making man’s best friend a pretty popular companion animal. While most are beloved pets with no history of aggression, even dogs that have always been docile can suddenly attack, causing potentially devastating injuries to their victims. When Can a Lawsuit Be Filed For a Dog Bite Injury in Illinois? Do I Need a Chicago Dog Bite Attorney? What should I ask a dog bite lawyer during a consultation? Is it too late to hire a dog bite attorney? What are my dog bite victim rights? How much is a dog bite lawsuit worth? How much will homeowner’s insurance pay for a dog bite injury? What do you need to do if you were bit by a dog in Illinois? Although the number of dog attacks and bites are roughly the same in Illinois as in any other state, Illinois is second only to California for dog bite litigation, according to statistics released by State Farm Insurance in April of 2017. Of the dog bites cases that go to court in Illinois, almost one in three occurs in Cook County. The high figures could be a result of Illinois’s lack of a “one free bite” law. In many other states, owners can’t be held liable for their dog’s actions if they are not aware that their pooch can be potentially aggressive. That initial bite, however, puts them on notice. Illinois does not have such a provision, so owners can be held liable for an unexpected first bite. Because of this provision, attorneys suggest making sure that your homeowner’s insurance covers your pets. While any dog breed can bite, the breeds most commonly associated with bites that cause serious injury are pit bulls, Rottweilers, German Shepherds, mastiff breeds, and boxers, largely due to the size of the dogs. While smaller dogs – Jack Russells, especially (Moose, the Jack Russell on the hit show “Frasier,” often bit his co-star, John Mahoney, the show’s star, Kelsey Grammer, revealed earlier this year) – often bite more often, the injuries are less severe, and as a result, often go unreported. For those bites that are reported, however, the injuries can be significant. In 2013, an Illinois teen was awarded $1.1 million, at the time the largest in state history, after a 120-pound mastiff escaped from his enclosure and attacked the young man, then 15, causing serious injury. Jordyn Bankston was attacked for 10 minutes before a neighbor and the dog’s owner were eventually able to help free the teen from the dog’s jaws by holding a lit cigarette to the dog’s nose. The teen suffered significant injuries in the attack, according to his attorney, included extensive damage to his scalp, his right shoulder and arm and his thigh, all of which required plastic surgery. The teen also required therapy sessions in order to cope with anxiety associated with seeing a dog or hearing one bark. The settlement was paid by the dog owner’s primary and umbrella homeowners’ insurance policies. In 2012, a bull mastiff that had already been taken from his owner after biting a mail carrier in the arm – a wound that required 15 stitches – bit a boy in the face while he was being held at the animal shelter in Yorkville, Ill. When the boy, visiting the shelter with his volunteer dad, bent down to pet the dog. In response to the suit, the Kendall County Animal Control has changed its policies, and now restricts access to the dogs at the shelter to adults aged 18 and above. In 2014, a woman won a $140,000 settlement after her brother’s dog, a lab/husky mix that she had attempted to restrain from running back into the street after he’d been hit by a car, bit her thumb, doing enough damage that she required four separate surgeries to repair the injury, which left a lifelong scar. The woman filed the suit in 2010, two years after the incident, alleging that her brother and his wife had failed to control their dog properly by allowing him to escape the house. The jury found in her favor, and although her brother and his wife filed an appeal, a second jury again found in the injured woman’s favor. The dog died shortly after the incident as a result of his own injuries. A Chicago dog bite lawyer can help you if you have any issues with dog bite injuries. Many severe dog injuries or deaths often involve family pets. In 2013, 2-year-old Jah’Niyah White was killed after suffering a dog attack while staying at her grandfather’s house in South Chicago. The toddler’s death, in which she lost her left earlobe, was ruled a homicide, and Chicago’s Department of Animal Care and Control took custody of the dogs after the attack. A year later, three family pets killed 4-year-old Kara Hartrich of Bloomington, Illinois, on the girl’s birthday. The pit bulls had been raised from puppies and had been selected specifically by the girl. The three dogs were euthanized, and no charges were filed. Because of the state’s “strict liability” law, in Illinois, a dog’s owner is almost always responsible if their dog bites someone, and will be required to compensate the victim for medical bills, pain and suffering, lost wages, disfigurement and mental anguish. Actions may also be taken against the dog owner by the State of Illinois or the City of Chicago, who may fine or charge the owner and place restrictions on or euthanize the dog. However, if the bite was provoked – if the victim kicked or hit the dog, for example – the fault lies with the victim, and no lawsuit can be filed against the victim’s owner. Cases where a person accidentally steps on a dog’s tail, however, causing an aggressive reaction, are a little more ambiguous, and may or may not fall under the category of provocation. If you have been bitten by a dog, it’s important to consult an attorney experienced in Illinois dog bite litigation to determine whether or not your injuries and the incident are worthy of legally pursuing. Dog-on-dog bites are more common, and due to vet bills can also be cause for litigation, experts say. 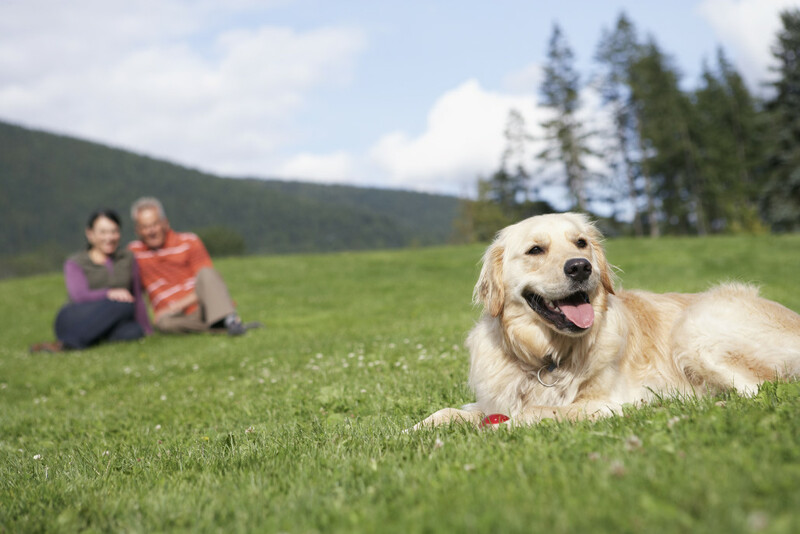 If you have suffered an injury from a dog bite, it is the dog owner’s responsibility to pay your medical expenses. Most homeowner’s insurance policies will cover your dog bite injury. But, trying to get exactly what you deserve in a settlement can be difficult if you are fighting a big insurance company. If you’ve suffered a dog attack or injury, you should contact an attorney to make sure you are compensated properly. Dog bites are often a result of owner negligence. Since dog bites can result in serious injury and even life-long scarring, an experienced dog bite lawyer can be sure the owner takes on the responsibility of your medical expenses. If you are in need of a dog bite attorney, hiring the right one is crucial if you want to get the compensation you deserve. You should look for an attorney who has experience dealing with dog bite cases. The right attorney will be a personal injury attorney who has an understanding of the laws associated with dog bites. 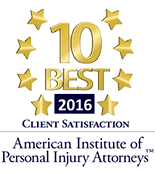 Hiring the right attorney means finding someone you feel comfortable with, trust, and who understands your needs. You should also find someone who spells out the costs associated with taking on your case and who seems driven to get you the compensation you need. Your initial consultation with your dog bite lawyer is your chance to make sure you’ve found the right fit. Start your consultation with questions about your attorney’s experience, background, and qualifications. Ask what strategy they plan on taking to manage your case. It is important you and your attorney are a good match to get the most out of your lawsuit. If you have specific questions about the details of your case, ask them in the beginning. You always want to discuss fees and costs during your consultation as well. It is important you know up front what type of fees will be involved in your case. Our firm handles all upfront costs. We then are paid via a contingency fee only if your case is won. When it comes to timing, hiring an attorney sooner than later is the best way for you to ensure that you get the best settlement. But, if you have started the process without an attorney, you can still hire one along the way. Many people start off trying to represent themselves before they realize how difficult it can be to build and navigate through a dog bite lawsuit. Hiring a dog bite attorney is generally an easy process. If you have been bitten by a dog and sustained injuries, the best way to get the compensation you deserve in a timely manner is to call a personal injury attorney who is well versed in these types of cases. Dog bite victim rights may vary because there are several factors that determine liability. Laws covering dog bite victims take federal, state, and city statutes, ordinances, and rules into consideration. If you have been seriously injured or permanently scarred due to a dog bite, you do have the right to compensation. In most cases, the dog owner is responsible for any injury caused by their dog. Victims of dog bite injuries are entitled to economic, non-economic, and punitive damages. Because most dog bite injuries are processed through homeowner’s or renter’s insurance, it may be in your best interest to speak with a personal injury attorney who has handled dog bite injury cases and is versed in the rights of victims. Victims of dog bite injuries are entitled to compensation. Compensation varies from case to case. To determine the worth of a dog bite lawsuit, multiple factors are taken into consideration. People who have become victims of a dog bite injury are entitled to a few different categories of compensation. Economic damages entitle the victim to all medical costs, loss of income, inability to return to work, psychological costs from mental scarring, and traveling costs for medical appointments. Non-economic damages entitle the victim to compensation for pain, mental suffering, humiliation because of scarring, diminished quality of life, anxiety, and any other intangible effects of the traumatic experience. Many victims also collect punitive damages. These are awarded when it is proved that the dog owner knew the dog’s risk of attack but allowed it around people regardless. The amount of money homeowner’s insurance will pay for a dog bite injury depends on the homeowner’s policy and the monetary coverage. Most policies offer coverage between $100,000 and $300,000. Most policies only cover homeowners for the first bite injury that occurs. Some policies also exclude certain breeds of dogs, like Pit Bulls and Rottweiler’s. If the extent of your injury exceeds the amount of coverage offered by homeowner’s insurance, you may sue the dog owner directly to make up for the excess expenses. The state of Illinois places liability on the dog owner or whoever had the right to the animal, or whose care the animal was in and when the injury occurred. To prove liability, you must document your injuries as soon as they happen. When the dog bite occurs, call 9-1-1 immediately and have the police draw up a report. Take photographic documentation of any injuries that have occurred. Seek medical treatment, even if you feel the injuries can heal on their own. Gather all information of the dog owner and where the injury occurred. For the best results with your lawsuit, contact a personal injury attorney immediately to determine what steps are necessary to get the most of your compensation. You can reach out team at 312-635-4000.